Quite green and crisp, a touch talcy, not a lot of minerality nor fruit. Fresh zingy acids, some late fruit sweetness, very clean and drinkable, good value but far from a great wine. Delivers what’s expected. A little denser and more expressive on the nose, introducing some floral notes, subdued citrus notes, starting to show a little bit of mature green/brown notes. Fuller in texture and weight, denser and darker minerality, breadth and persistence, very lively but not quite ripe enough, looking a touch warm. Brighter fruitier bolder and more expressive on the nose, floral and concentrated. Depth and complexity, round generous with soft caressing acids and creamy texture, seems to be ageing a little already. More mineral notes, darker and more brooding, wilder fruit characters, kind of edgy. All around the edges, flat in the middle. Lacking much depth and concentration, fruit not quite ripe enough. A little disappointing on the palate to be honest. Deeper riper fruit notes, more akin to stone fruit than citrus. Much fuller in comparison, good level of ripeness and structure, balanced acidity and alcohol, some nice dried fruit characters. More going on in this wine and more potential down the line for ageing. 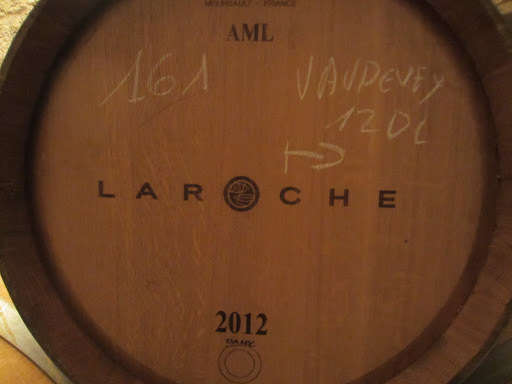 Very closed on the nose, almost a touch reductive, extremely subtle showing almost no fruit character. Full , builds on the palate but the density of the wine somehow doesn’t translate in the fruit, and subsequently looks both hollow and warm. Something went wrong with this vintage. Inviting citrus sherbet sorbet aromas, quite flinty and a little smoky. Bold, expressive, quite concentrated, very dense and still quite locked-up. Brooding in its structure, masculine in its power, warm in its alcohol but much better balance and integration. Quite dense nice concentration, evidence of low yields. Full palate, good texture, complexity and weight, extension on the palate, but also a clean balanced finish.